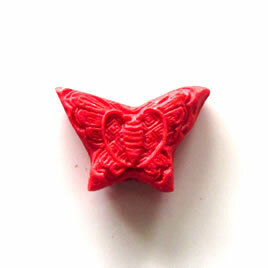 Bead, cinnabar, red, 17x22x6mm, carved butterfly. Pkg of 4. 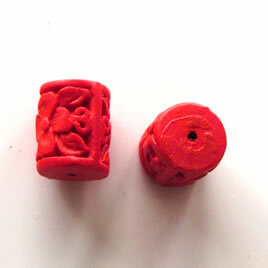 Bead, cinnabar, red, 10x14mm, carved tube. Pkg of 5. 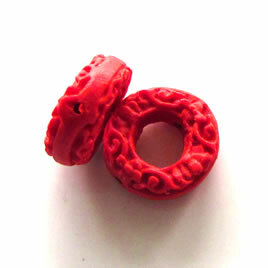 Bead, cinnabar, red, 16x6mm, carved donut. Pkg of 6. 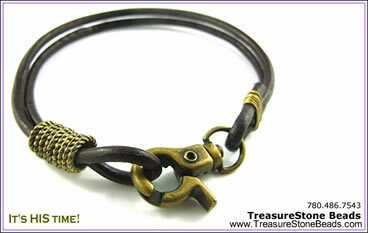 The kit includes 1 meter of dark brown color leather cord (3mm thick), 10 brass colored metal rings, 1 brass colored clasp, 5 pieces of brass colored eye pins.